We’ve been sponsoring Wheel Chair Racing Athlete Hannah Cockroft for the last three years, and in that time have seen her rise from an extremely promising Junior Athlete from Halifax (where Caravan Guard are based) to a member of Team GB and frontrunner for medals at the London Paralympic Games 2012. In 2011 Hannah had by far her best year to date, smashing World Records in a number of distances and claiming an impressive Double Gold at the﻿ women’s International Paralympics Committee IPC Athletics Champs (aka The World Championships) in the T34 100m and 200m events. In response to this impressive Double Win she has been nominated in the “Best Paralympic Performance of 2011” category at the Aviva UKA Athletics Awards 2011. Maybe we’re a bit biased… but we definately think Hannah deserves to win as a small reward for that fantastic Double Gold win, and for the hard work she’s been putting in day after day over the last few years to prepare for London 2012. 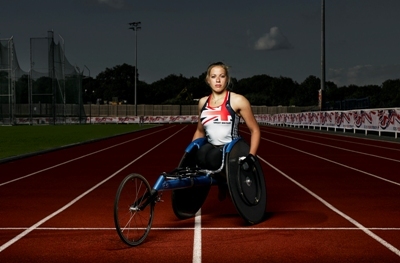 Please vote for Hannah here: Best Paralympic Performance of 2011.